It was double delight for the fans as Vijender also snatched the WBO Oriental Super Middleweight title from the Chinese. Soon after getting the better of his Chinese opponent at 'Battleground Asia', India's star boxer Vijender Singh on Saturday urged for peace amid the Indo-China border stand-off. 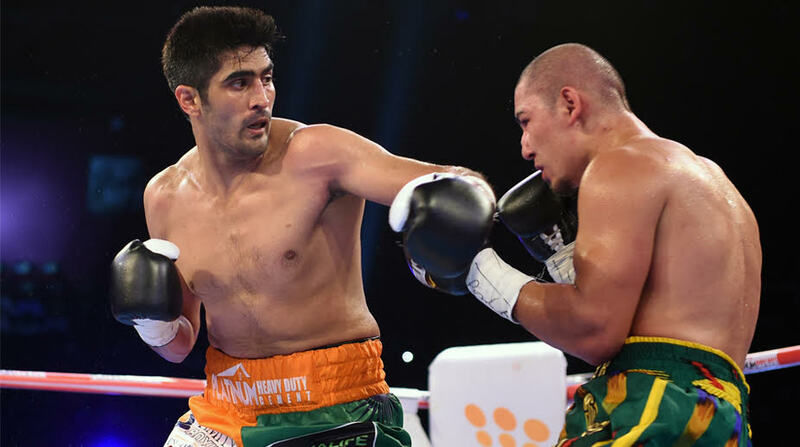 Vijender's stature grew a few notches as he outslugged his Chinese opponent Zulpikar Maimaitiali in a close bout to annex the WBO Asia Pacific Super Middleweight title. "I want to give back this belt to Zulpikar. I hope for peace in the border and the message is about peace. That is most important," Vijender, an Olympic bronze medallist, said after his bout. For weeks, India and China have been involved in a stand-off along part of their shared border. It was the 32-year-old's ninth successive win in his professional career. While Vijender had commented that "Chinese products don't last long" prior to his bout, Zulpikar's spirited show left him surprised. "I was under the impression that the Chinese would not last long, but he has left me surprised with the way he fought," Vijender said.